Please, send us an email indicating the price and the website where you have seen it and we will contact you as soon as possible. 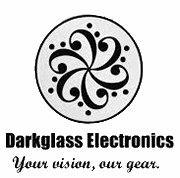 Three years ago Darkglass Electronics released it’s first amplifier, the Microtubes 900. Its unusual features, and design embodied the Darkglass ethos like none of our previous products. It was an uncompromising amplifier, incredibly versatile, and unapologetically loud. Now, a thousand days after the first Microtubes 900 saw the light of day, we are proud to announce the next step in its evolution, the Microtubes 900 v2. With enhanced durability, improved equalizer, studio-grade compression, impulse response cabinet emulation, and MIDI control, the Microtubes 900 v2 features all the options the modern, professional bassist needs in a compact, sleek, and loud format.